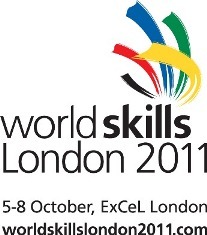 WorldSkills kicks off today at Excel in London and will run from 5th-8th October. WorldSkills London 2011 is the world’s biggest international skills competition, covering hairdressing to stone-masonry to ICT skills. Celebrating the plethora of skills on show, companies are using the event to launch new apprenticeship schemes and hire apprentices. Out of the 1,300 apprenticeships being launched at the event, technology companies 3M, Cisco and XMA have announced new apprentice placements. Computer Weekly is supporting the Worldskills event as a media partner and has been following competitor, Matthew Mack, during his training to compete at the event.